Sparco Racewear - Competition Shoes - Cross RB-7 UNIVERSAL - Lesher Motorsports, Inc. 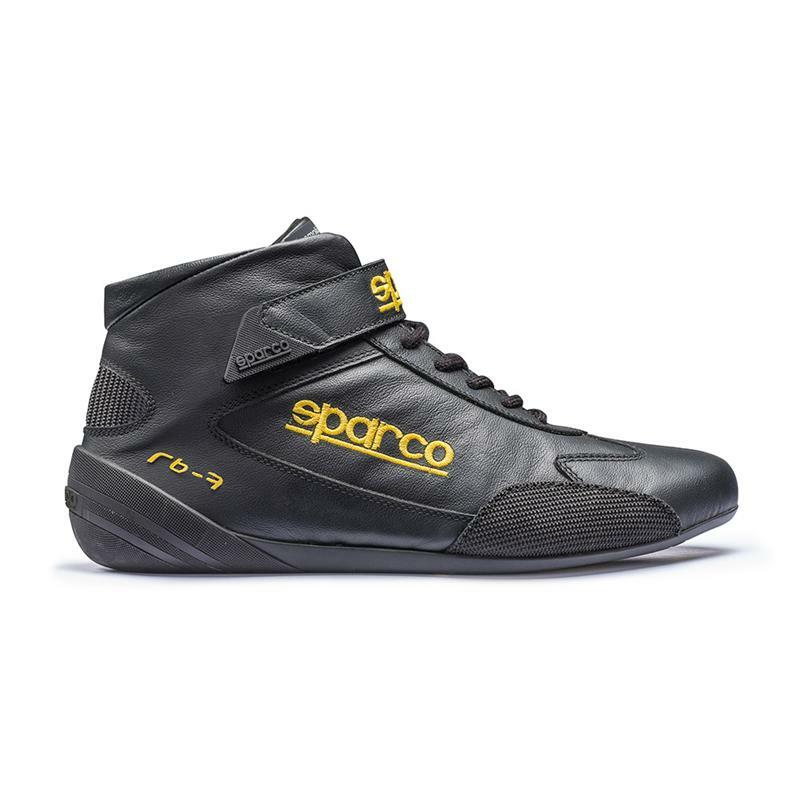 The Cross RB-7 is the latest mid cut race boot from Sparco and has been developed to provide a better fit with higher comfort levels and improved feel whilst driving. Constructed from a high quality leather upper with lateral reinforcements in textured calf leather to protect vulnerable areas, particularly on the outer edge of the boot which can be affected by heel and toe movements. The Cross RG-7 race boots feature a cross foot anatomical Velcro strap for a secure fitment while an anatomical pre shaped inner sole provides high levels of feel. An all new ‘R01’ sole has been dynamically designed to help improve pedal grip and movement on the pedals. the sole is also anti static and resistant to fuel and oils.